Station Code or number: 17603 WMO Number, (1124 931 95 Local Identification Code for the site of Philousa). Channel Geometry: 30 m width and 20 m depth with stable river bed cross-section, underlain by: Boulders, gravels. Describe the hydraulic conditions within the measuring station: The banks of the channel are chalk, marly chalk and marl with cherts in places. Status of the database (which data, currently updated or not): Discharge data. Currently updated. 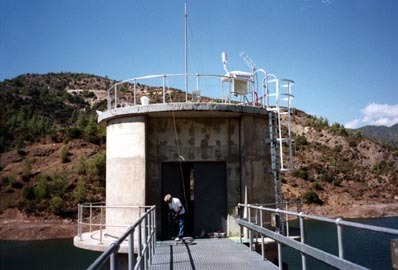 Technique(s) used for discharge measurement (wading, bridge, slope area, etc. ): Wading, bridge for high flows.